Camping is great in the Prescott area and the Prescott Campgrounds are among some of the best maintained sites around. Where can I find great campsites near Prescott? 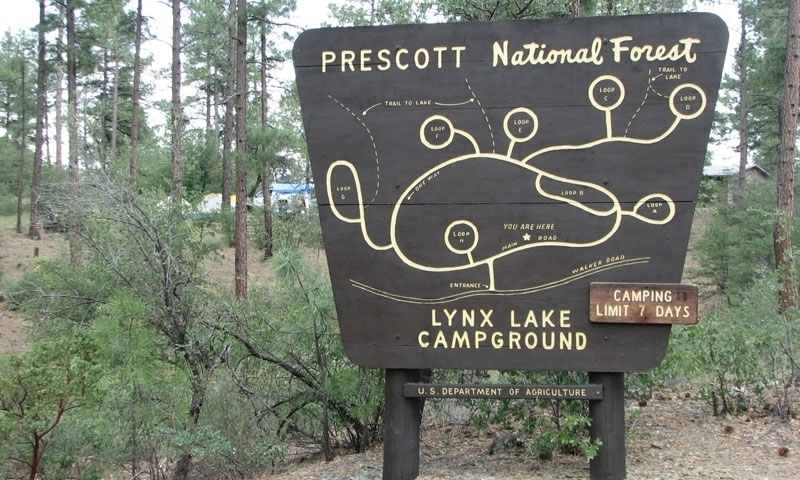 Lynx Lake is a very well-maintained campground that is close enough to Prescott that you have all of the necessary amenities, but far enough into the Prescott National Forest that you get the full feel of the wooded wilderness. Location: Off Highway 69, turn south on Walker Road. Drive a little over two miles and look for Lynx Lake Campground sign. Phone: The Prescott National Forest can be reached at 928-443-8000. Make reservations. Ponderosa pines, granite boulders and the man-made Granite Basin Lake all make for a wonderful weekend camping trip. First come, first served. Location: The Yavapai Campground is located almost nine miles northwest of Prescott on the Bradshaw Ranger District. This is a more primitive campground, it is chock full of history – the majority of the walls and walks were built of stone during the 1930s by the Civil Conservation Corp. First come, first served. Location: Take Main Street (in Mayer) and continue east to the junction with Antelope Creek Road; continue southeast on this road for approximately 9 miles to Cordes, then take Forest Road 259 to Crown King. At Crown King take Forest Road 259A south for 0.5 miles to the junction with Forest Road 52. Take this road southeast for about 6 miles to the Hazlet Hollow Campground. Many people who decide to camp at the Lower Wolf Creek Campground do so in order to get closer access to the wonderful hiking trails strewn all throughout the ponderosa pines and boulders in the area. First come, first served. Location: Take Senator Highway south for about 6 miles. The pavement will end about 500 feet before you reach Forest Road 97, where you will turn right and continue on for another 1 ¼ mile to the campground on the right of the road.